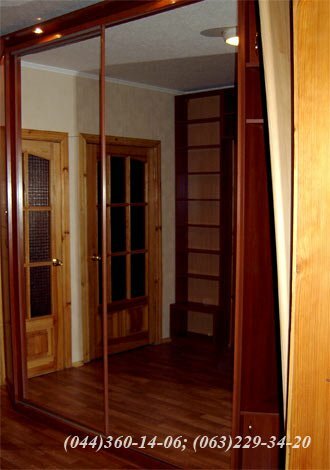 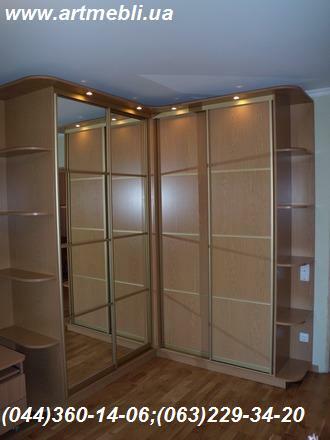 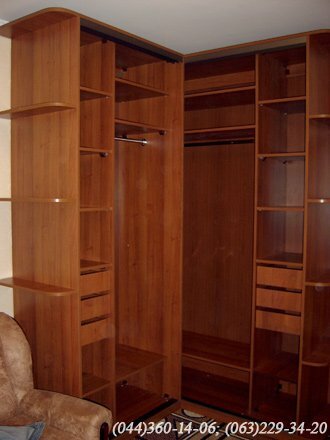 A wardrobe with sliding doors is a must in any home. 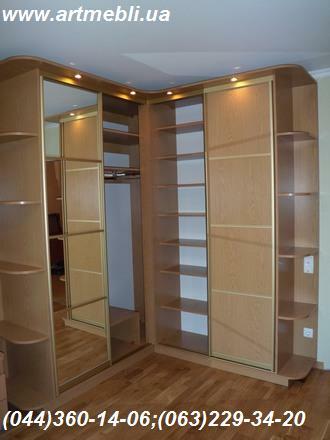 On the one hand, it is a large-capacity piece of furniture. 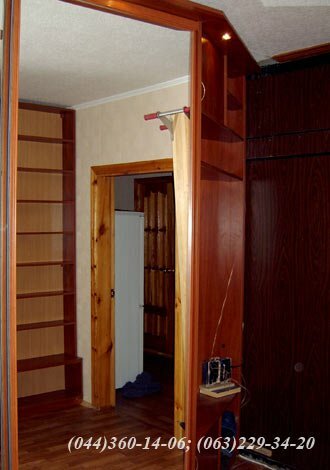 On the other hand, it is a space-saver, for example, in a narrow hallway. 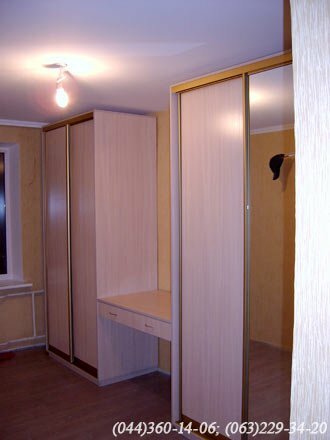 If there is a small opening in the house, a custom-made wardrobe with sliding doors will be more practical than pre-made standard cabinet furniture. 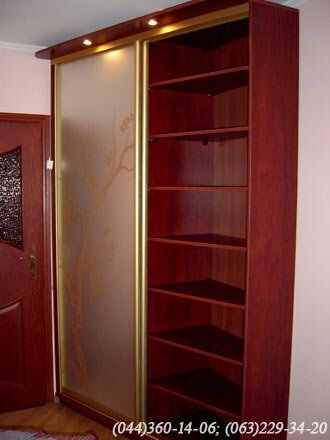 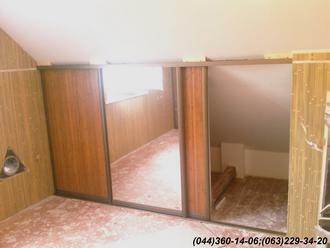 The company offers furniture designed to cover an opening. 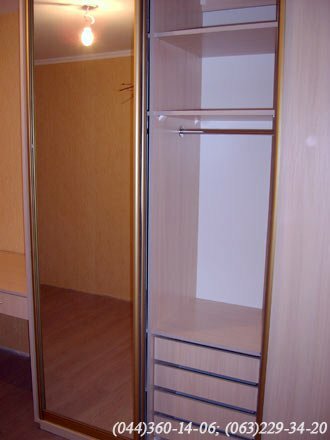 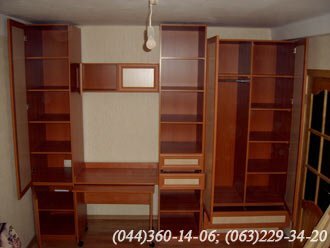 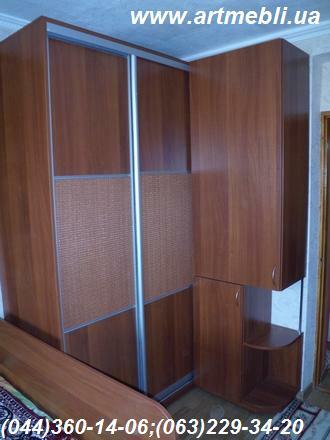 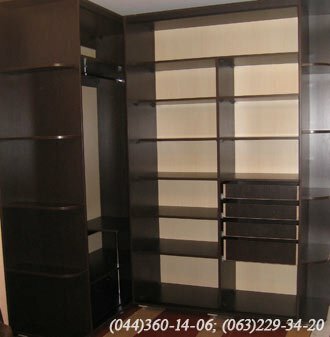 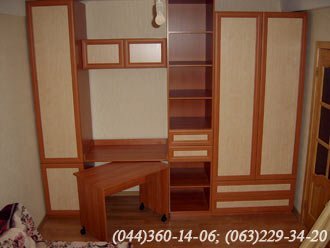 Wardrobe parts can be chosen by modular principle: cabinets with drawers and baskets of different depth, wardrobe hangers, shoe and hat shelves, mesh surface. 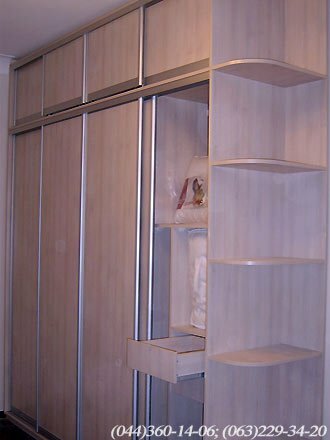 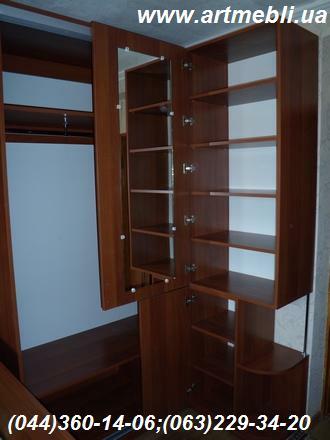 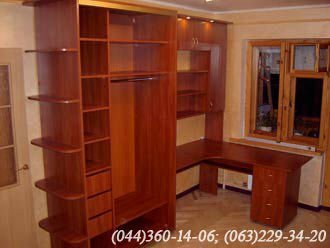 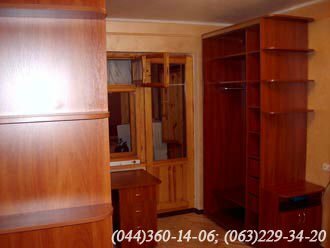 The interior of the wardrobe in this case is easy to arrange, because structure is not rigidly attached to the walls, which makes them transformable. 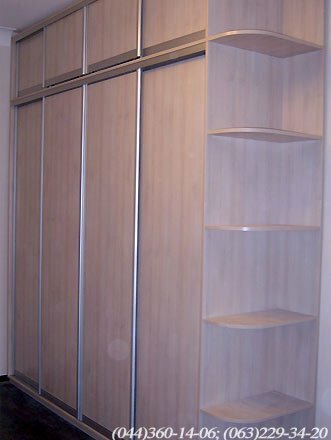 ARTMEBLI produces wardrobes with sliding doors (steel and aluminum frames) with RBC, mirror, pattern mirror (we may use an original or a standard image, including color), tinted glass, etc.. 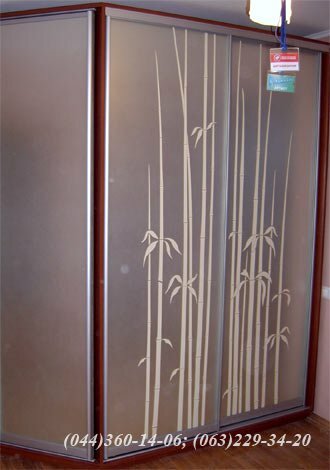 Although slightly more expensive, aluminum frame doors are of higher quality and look especially contemporary. 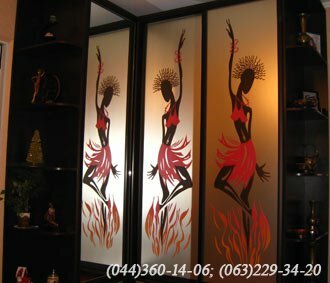 The company offers its customers panels, pedestals, lobby and other furniture. 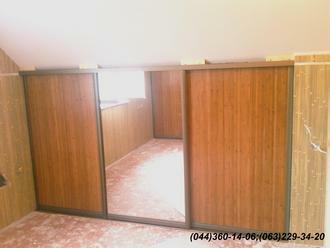 ADS gold Mirror - silver + RBC. 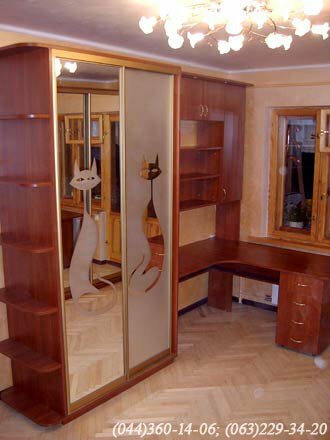 bronze Mirror – silver, Mirror with a pattern. 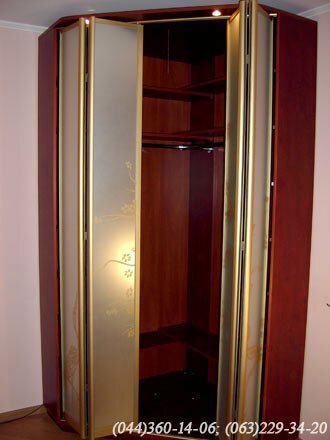 System - ADS gold Mirror with a pattern. 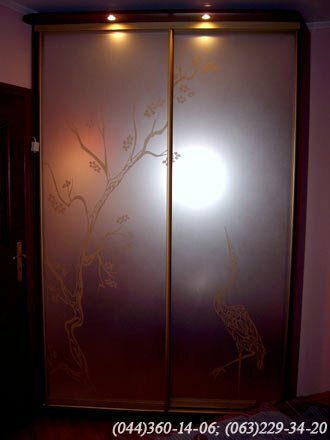 System - ADS bronze Mirror - silver. 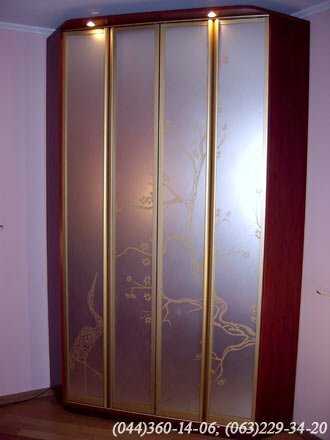 Gold Mirror - matted with a pattern. 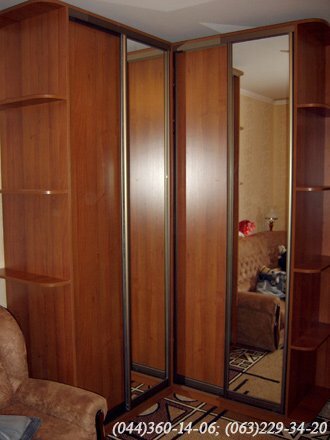 Mirror - silver, RBC 10mm.